The Vatican announcement on Friday that two 20th-century popes, John XXIII and John Paul II, would be canonized at a ceremony to take place later this year, has raised questions about the process of vetting and confirming Catholic saints. How is the system supposed to work? The Vatican announcement on Friday that two 20th-century popes, John XXIII and John Paul II, would be canonized at a ceremony to take place later this year, has raised questions about the process of vetting and confirming Catholic saints. In both cases, some of the usual criteria used to evaluate a candidate for sainthood were waived, albeit at different times in the process. The announcement has left many observers wondering how do you become a saint, anyway, in this modern age. Until the 16th century, saints were chosen by popular demand in a "local and pretty informal process," says Mark Yenson, assistant professor of religious studies at King's University College in London, Ont. Today, the criteria are more rigid and the pope oversees the process, which is supposed to begin — at earliest — five years after a candidate's death. At that point a local tribunal begins collecting facts about the person's life for a file that will be forwarded to the Vatican. "In the cases of people like Mother Theresa or John Paul, there are people still around who knew them, worked with them or lived very closely to them," says Neil MacCarthy, director of communications for the Roman Catholic Archdiocese of Toronto. "But you can imagine how difficult the first step is when a person has been dead for centuries." For Mother Theresa and John Paul II, the pope waived the five-year waiting period because they were "clear-cut cases" of candidates for sainthood. But that's exceedingly rare, says MacCarthy. The information then makes it way to the Congregation for the Causes of Saints in Rome, which is made up of 34 cardinals and bishops and 83 consultants. According to Yenson, the consultants are not all members of the Catholic church and can include secular doctors and historians. According to MacCarthy, the file is then reviewed and if the candidate is approved by a majority vote then they are designated as "venerable." That is when things get trickier. The next phase, beatification by the pope, requires a miracle by the candidate after he or she has passed on. That posthumous miracle must be confirmed by Vatican investigators and accepted by the pope before the candidate can be designated as "blessed," says MacCarthy. "There are countless cases that don't go further than this point, because to become a saint, there must be a second miracle that takes place after the beatification," says MacCarthy. If a second miracle is attributed to a candidate, then the Vatican investigates again and presents the evidence to the pope, who then decides whether or not to canonize the candidate. "At that point, a canonization mass is held, usually outside at St. Peter's Basilica, and a feast day is named," says MacCarthy. The process can take centuries. Kateri Tekakwitha, Canada's first aboriginal saint, died in 1680 but wasn't beatified until 1980 and finally sainted in 2012. According to Yenson, the reigning Pope has the authority to dispense with any part of the process if he sees fit. In the case of John XXIII, Pope Francis waived the requirement of the second miracle because of overwhelming evidence of "heroic virtue" and "personal holiness" during his life, says Yenson. What counts as a miracle and how is it confirmed? Though there is no specific definition of a miracle in the Catholic tradition, they are usually associated with inexplicable healings. "A miracle is an extraordinary event, particularly a healing of someone with a serious health issue, that defies natural explanation," says Yenson. "Something that doctors and medical experts would certify that they couldn't explain naturally." John Paul's second miracle, for example, is reported to have occurred in Costa Rica when a woman's brain aneurism was suddenly cured on the same day as John Paul's beatification mass in Rome in May 2011. For Catholics, posthumous miracles are a sign that a person is in heaven and is actively interceding for the faithful on Earth, says MacCarthy. Yenson says that in trying to establish a miracle, an investigation team from the Vatican would "gather documentary evidence, eyewitness testimony, confer with the medical personnel involved in the particular case." "They are careful about what they consider to be beyond natural explanation and are sure to consult with people who have no vested interest in the Church." It's difficult to pin down exactly how many Catholic saints there actually are as it can depend on what criteria you use, especially because the process before the 16th century was so much more informal and took place at a local level. "In the Catholic tradition there are many, many saints that are unnamed and unremembered," says Yenson. 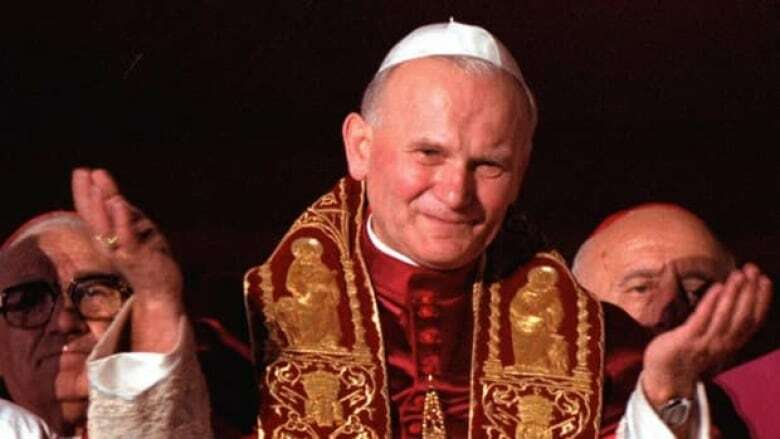 Pope John Paul II canonized 482 saints and beatified over 1,000 candidates during his nearly 30-year pontificate, significantly more than any other pope in history, says MacCarthy. By comparison, Pope Benedict XVI canonized 45 saints during his eight-year papacy. John Paul's affinity for naming saints was part of his larger initiative to reconnect a new generation of Catholics with the Church. "John Paul felt that people needed more contemporary role models. He canonized a number of 20th-century people who others would have known in their lives. He wanted saints to be relevant to people," says Yenson. John Paul's fast track to sainthood is likely a continuation of his own policy and an attempt to reach more living Catholics, says MacCarthy. "When he was dying, a million people gathered outside the Vatican and at his funeral there were calls for 'santo subito,' an Italian term for sainthood now."